The United States has been supportive of its regional allies in this dispute but restrained due to massive military commitments in the Middle East, election year politics and relative uncertainly with its China strategy. It has sent numerous warships including a carrier group on freedom of navigation exercise through the region that while are temporary shows of strength are not sustained which cedes the field to the next greatest power, China. It is an issue that will continue until the United States is able to fully pivot its resources from the Middle East to Asia and one that the regional powers may have to deal with largely on their own. This scenario is an exploration of what could happen if the regional powers unite and with limited assistance of the US challenge the Chinese Navy. Could a force similar to NATO’s STANAVFORLANT be a good enough deterrent to give the Dragon pause? You are authorized to attack only surface vessels and submarines violating Spratly waters (V1-V4). If attacked you are clear to attack all known air and sea targets in the region. You are not authorized to strike land bases and facilities outside the Spratly’s. If attacked you are clear to attack all known air and sea targets in the region. You are not authorized to strike land bases and facilities outside the Spratly Islands. 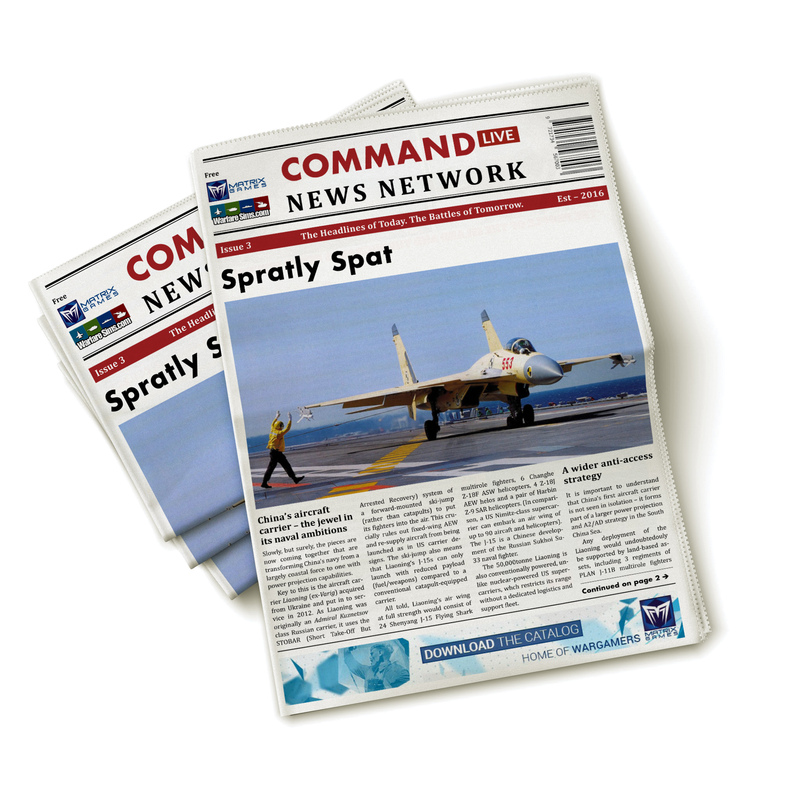 20 SEP 2016 Command LIVE Spratly Spat is out! 19 SEP 2016 Command LIVE News Report from the Spratly Islands! 13 SEP 2016 Command LIVE moves Far East! Spratly Spat announced!